Before I jump right in and talk about the fabulous fundraiser we are about to run, I wanted to share why our Ladybug and the Squiggles desperately belong together. What on earth is a Squiggles? 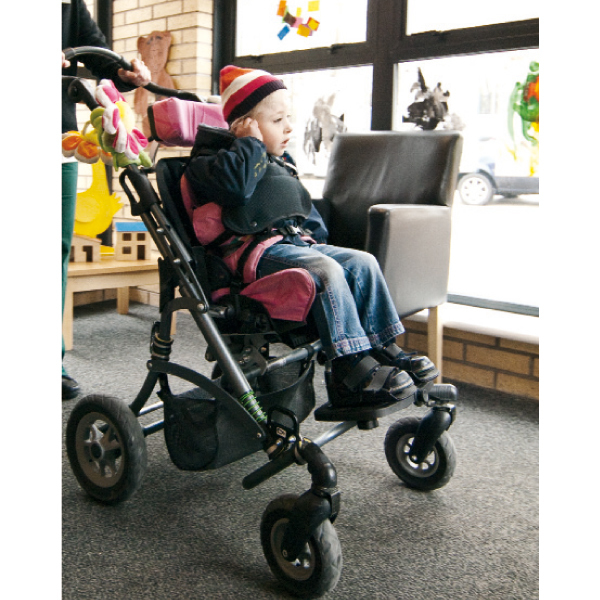 The Squiggles is a modular mobility seating system created to give all the support and comfort a child could need. The picture below is fairly close to the one that we will need. Ladybugs will have a different head rest, hers will lightly cradle her head. Because she is so teeny she won’t need the shoulder section underneath the head support. She won’t need a pummel which is by the legs, and of course some custom creativity will need to take place in order to build up the foot rest another couple of inches. The pièce de résistance ~ hers will be pink. Of course. The only picture of a pink Squiggles Chair I could find. 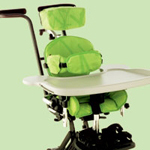 We have opted for a chair that has more of a cool stroller look rather than the typical wheel chair. Plus this was one of the only models that would fit her perfectly. 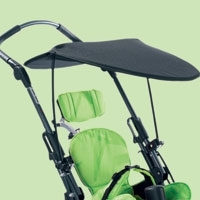 You have the option of adding on a very funky sun canopy. I won’t even begin to guess how much extra it is. 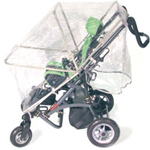 Another extra will be the activity tray and the rain cover. Little side note on the rain cover. 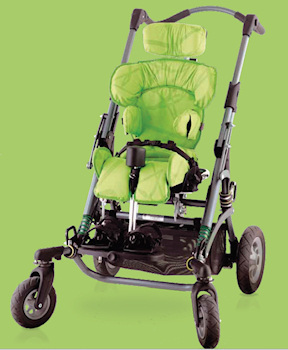 I thought I would be crafty and save some money by purchasing one made for typical strollers and tested on the loaner Squiggles we have. Ya….it didn’t work out so grand and let’s just leave it at that. Below is what it should look like with the correct cover. 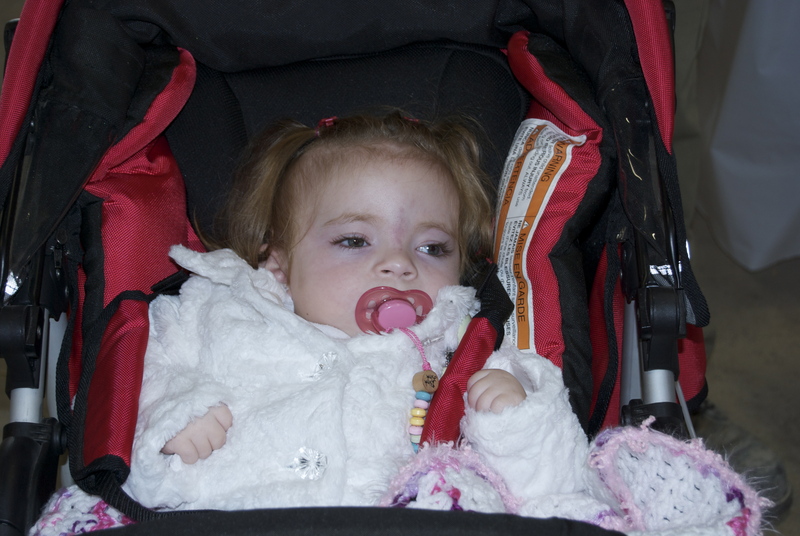 This is Ladybug in our beautiful Quinny stroller. I wish we could pimp it out so it would be beneficial to my princess. This beast will go through a foot of snow like nothing, the only downside being it weighs a ton. Whereas the Squiggles is surprisingly light and very easy to maneuver. Although Ladybug looks quite comfy cozy, she has no support what so ever in her regular stroller. Her head tends to gravitate towards that outer padding in turn her rib cage heads the other way, her little tooshy is constantly sliding down because she is just to small for the harness, and sadly it doesn’t offer her one ounce of support. How can one see the world for all it’s beauty if their head is always flopping to the side and their body is slouching. It’s not possible. P.S. Our fundraiser will be in full swing this weekend as Ladybug and I will be heading to watch my grandfather, her great-grandfather march in the Remembrance Day Ceremony tomorrow. He is a true hero, and I’m so thankful for all he has done.